The perfect accessory for a contemporary bedroom or playroom, this colourful chair is just right – the right size for kids to use, the right colours for this season and the right pedigree for design-savvy parents. It is so refreshing and inspiring to find a chair that is meant for kids that isn’t made of plastic and isn’t a standard wood design. This divine chair is perfectly sized for children aged from three to eight. 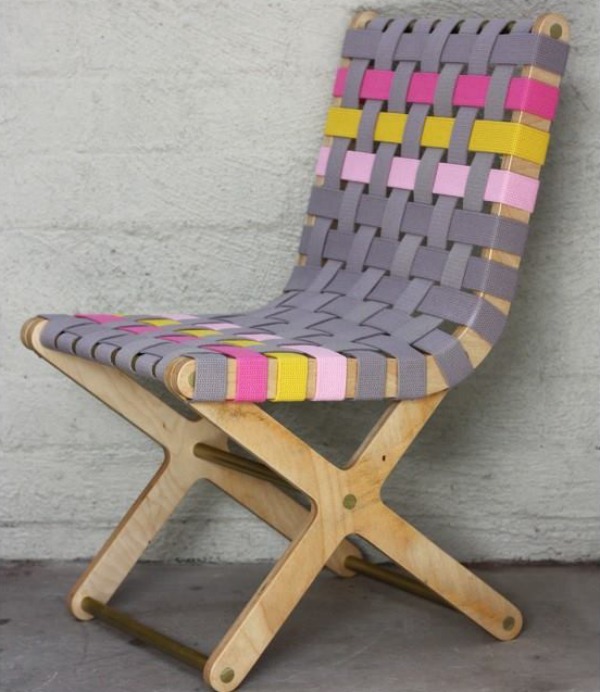 Each chair is made from layered plywood and handwoven using cotton straps. The soft grey and pink with the bold splash of yellow makes for a colour palette that is right on trend and will fit a modern styled room for a special little girl, but it is also available in single colours of pink and blue. 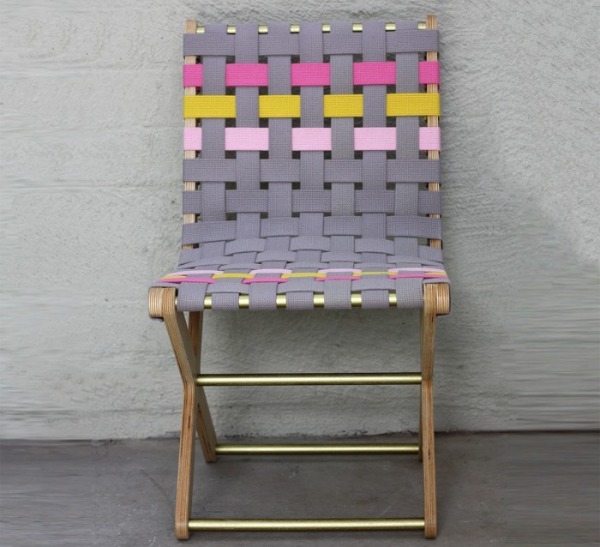 Designed by husband and wife duo, Twig Creative,in collaboration with the talent of Oh Joy, this particular chair has been created exclusively for Designstuff – an Australian online store that features only the most beautiful and functional Scandinavian inspired designs around. 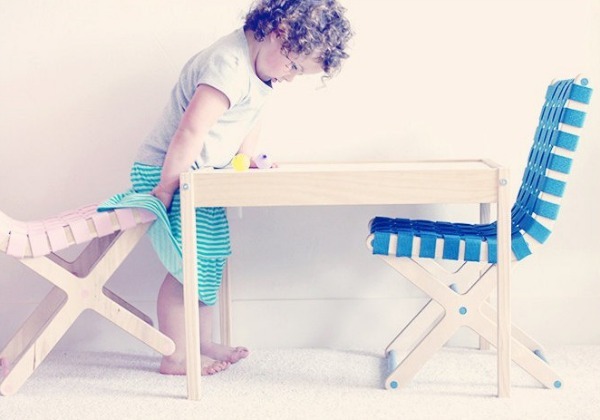 You can purchase Twig Creative’s colourful playroom chairs through Designstuff. Make sure you check out their range of Instagram inspired, woodcrafted Pixie cameras while you’re there.